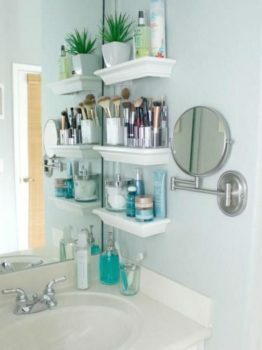 Have you ever seen bathrooms online that show the different ways people organize their bathroom, want to implement the idea and have no idea where to start? You’re not alone. Science tells us that the less cluttered our spaces are, the less stressed we are and become. No matter how many square feet a home is there is never enough space for everything we own. Everyone everywhere looks for various hacks on how to maximize their spaces. 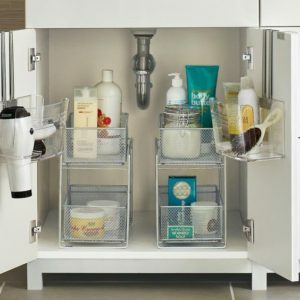 Eagan Luxury has done it again to show you how you can maximize your bathroom space and declutter your bathroom, without getting rid of anything, along the way. 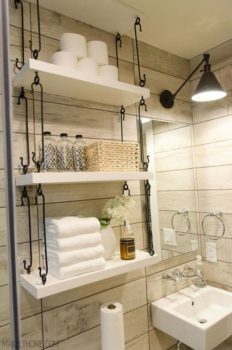 For bathrooms that are lacking in enough cabinetry, adding shelving on the wall or in front of the sink for the smaller necessities - tooth brushes, makeup brushes, Q-tips and cotton balls - help eliminate forcing things to fit in unorganized drawers and off the counter. 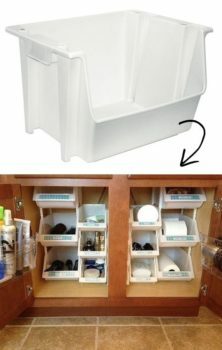 For the larger things that you want to keep out of mind and out of sight, store them in stackable bins under your sink. 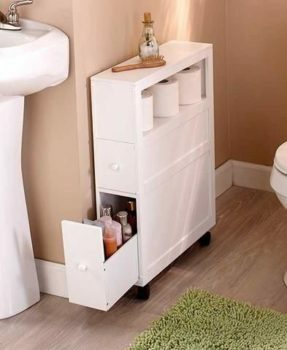 For the things that you need and would keep out of the way that you may not be able to stash under the sink q- shampoo, lotions, bubble bath, toilet paper - try adding a slim cabinet to hug the wall. Dress it up by adding a simple air freshener or bath salts for the top of the piece. No matter what your style, the objective is to have a clean, organized space. Have a new or different idea? Share it on social media and tag us @EaganLuxury for a feature.